The perfect Spring/ Summer crop top! 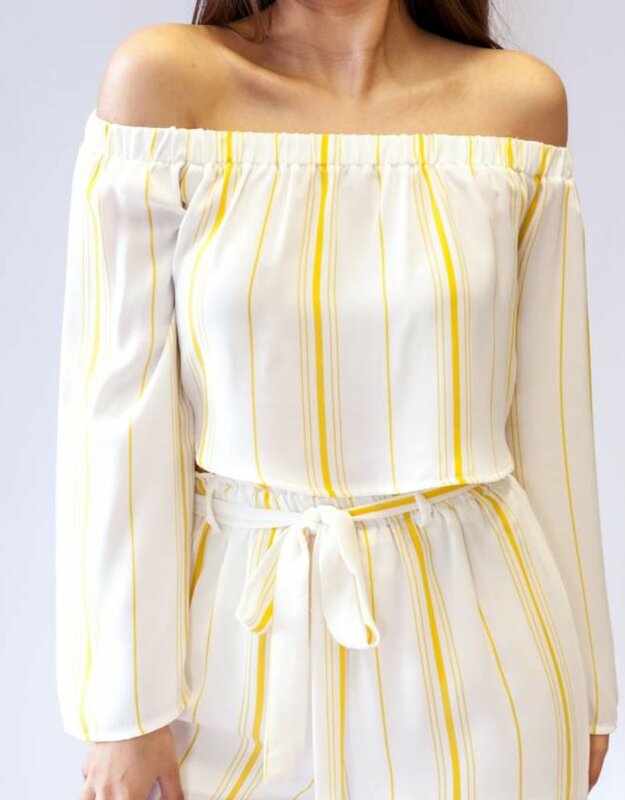 Our Stella Crop Top features an elastic off the shoulder neckline, yellow stripes, and gorgeous sleeves. 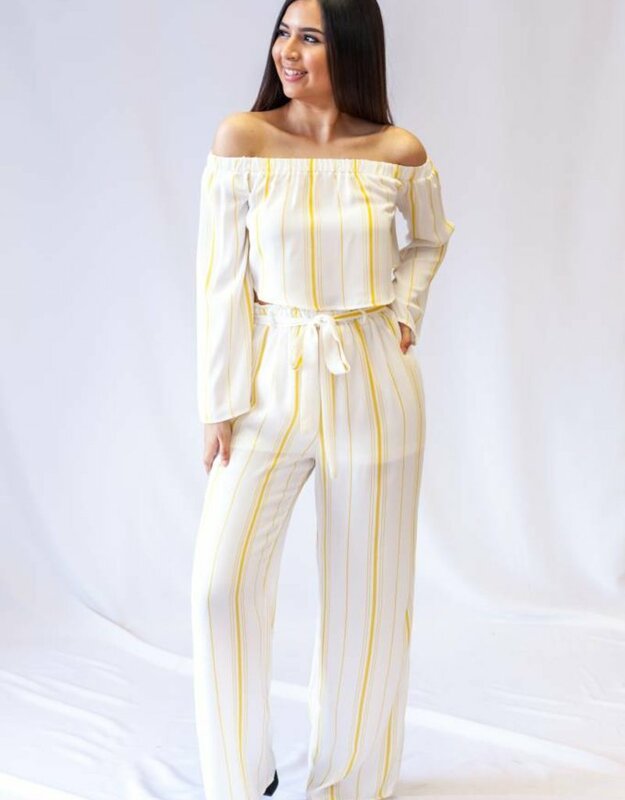 Pair this top with our Monique wide legged pants to complete the look.